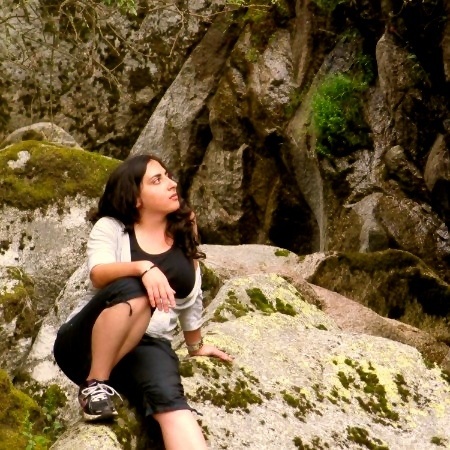 Raquel Mendes is a PhD student of the BIODIV doctoral programme at the University of Lisbon, starting in 2015. Her research is focused in ecology and evolutionary biology, especially the processes leading to population divergence and speciation. She is presently working with Mediterranean cicadas of the genus Tettigettalna. These species are morphological very similar but produce species-specific acoustic signals, which may be subject to sexual selection. She is using geometric morphometrics, acoustic analysis and ecological niche modelling to help unravel their evolutionary history. The main goal is to better understand the role and relative importance of different mechanisms (e.g. natural selection; sexual selection; niche specialization), promoting population divergence and speciation of these species.